Kitchen: this has been on our wish list for Isabella for a while...we have debated on which kitchen to buy for months and fell in love with this vintage looking KidKraft kitchen. 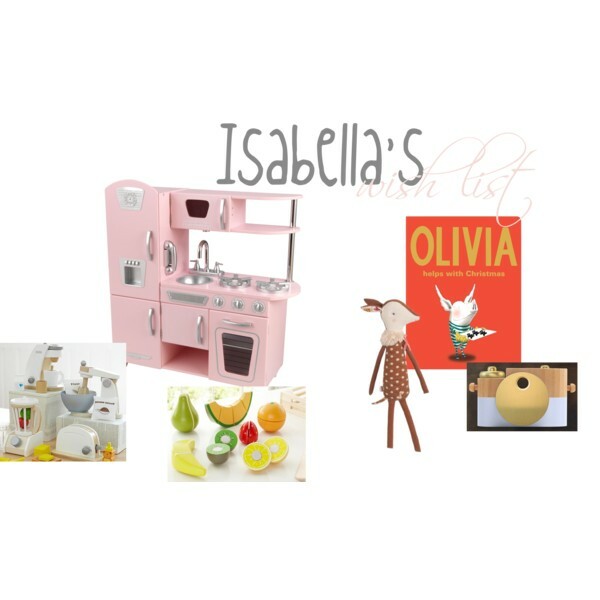 Fruit: love this adorable fruit and they also have veggies...Target had these Melissa and Doug felt foods on sale and I snatched them as well:) Do you see a kitchen/food theme this Christmas? Camera: Isabella is obsessed with taking pictures and this fake camera is oh so amazing!